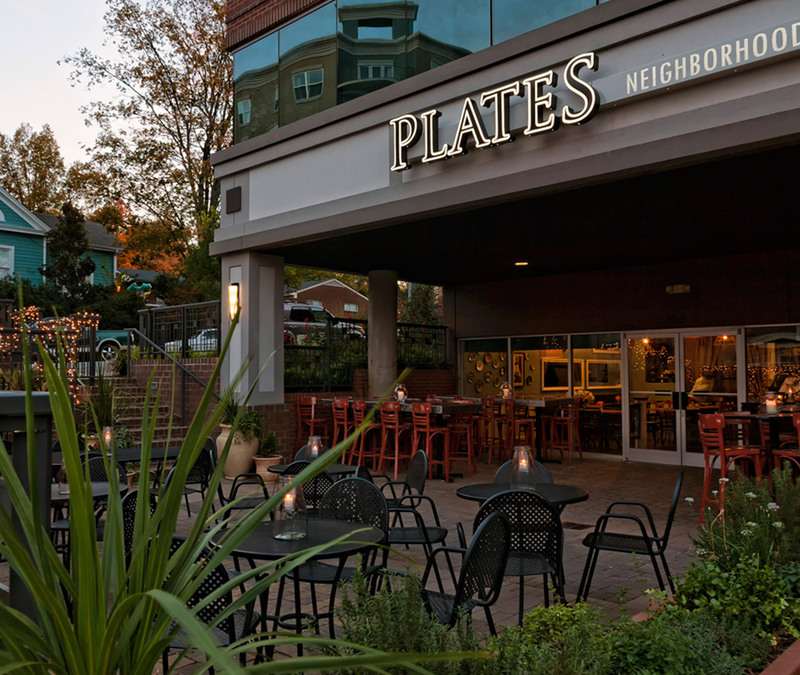 Here at Plates Neighborhood Kitchen, we set out to provide a staple dining experience for our community. From Chef Jake Wood’s family recipes to reimagined southern favorites, we seek to push the envelope in a comfortable and approachable way. We strive to lead by example with our local sourcing methods and warm hospitality. We look forward to hosting you at our table for many years to come. A native to Apex and with family roots invested in North Carolina, Jake Wood’s passion for food is heavily influenced by his grandparents and the state’s rich agricultural traditions. With inspiration from his family, Jake Wood embarked on a culinary career in Raleigh, which started at 42nd Street Oyster Bar. 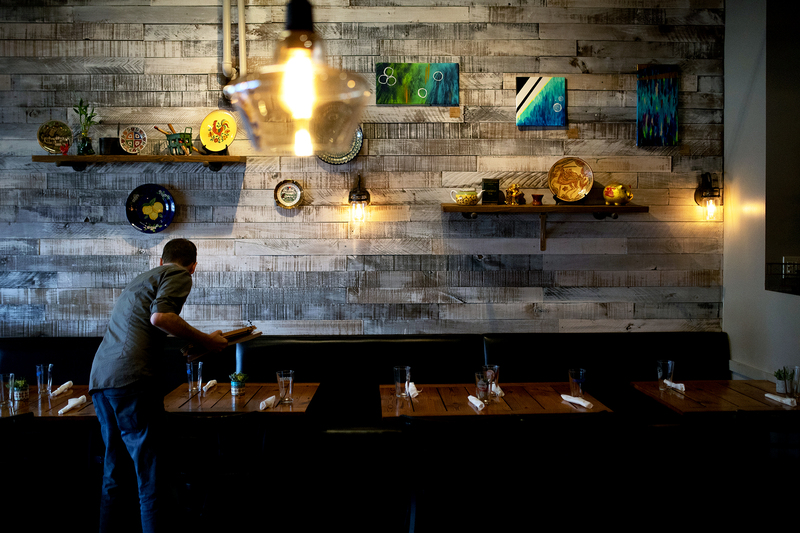 He began shucking oysters and eventually worked his way up in the restaurant industry. Jake then went on to become the Head Sushi Chef at The Cowfish in Raleigh, and soon after developed the food program for Raleigh Raw as the Executive Chef. Chef-Owner Jason Smith of 18 Restaurant Group mentored Jake and was an advocate of him moving on to the next stages of his career. 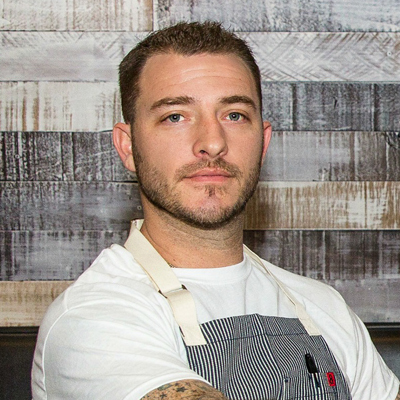 He most recently served under Smith as the Chef de Cuisine of Raleigh’s 18 Seaboard, and now serves as Head Chef of Plates Neighborhood Kitchen. FREE PARKING is available in the pay lot behind our building (enter on Lane Street). Ignore the pay station! Just bring your space number and license plate number to our host upon arrival and we will validate your vehicle for up to 3 hours. Pairings on the Patio - $19 Pairing Small Plates and Flights. Resumes April 9! The News & Observer Voted Us Best of 2016! In 2016, The News & Observer’s Greg Cox awarded Plates Neighborhood Kitchen with a Best Restaurants medal and with a Four-Star review. Introducing Five Dollar Fridays at Plates, a cheap and delicious way to kick off your weekend! Enjoy our select items on Chef Jake’s Bar Snacks menu for just $5 after 8:30pm along with a rotating selection of $5 Martinis all day long from the mind of Bar Manager Chris Brennan! Our bi-weekly Tuesday evening Pairings on the Patio series is back for the spring and summer! Every other Tuesday we will be highlighting a different flight of libations paired with themed small plates from the creative mind of Chef Jake Wood. Triangle wine legend Sammy Greenway will be on hand to walk you through three Pinot Noirs from different regions of the globe. We’ll pair that flight with a trio of sliders featuring Fox Farm & Forage mushrooms, with a special appearance by Amy Fox herself! Only $19 per person. Our regular and bar snacks menus will also be available. Can’t beat that with a stick! 6:00 – 9:30 pm, RSVP appreciated but not required. The tastings will be held rain or shine! Give us a call at (919) 828-0018 with any questions.